The Days of Johann, an agility dog! : Black and White Sunday: Keeping warm! Black and White Sunday: Keeping warm! A girl's gotta keep warm! You look warm and also very stylish. Rock that hat! Love the hat. I can never get my dogs to wear hats. And if she can manage to look that beautiful in the process, it's a bonus! Have a happy Black and White Sunday! Aww and it so suits you! You look lovely! What a wonderful photo! It made me smile, so thanks! You wear that hat so well...betcha it kept you nice and warm, too! Great photo! Love your hat! 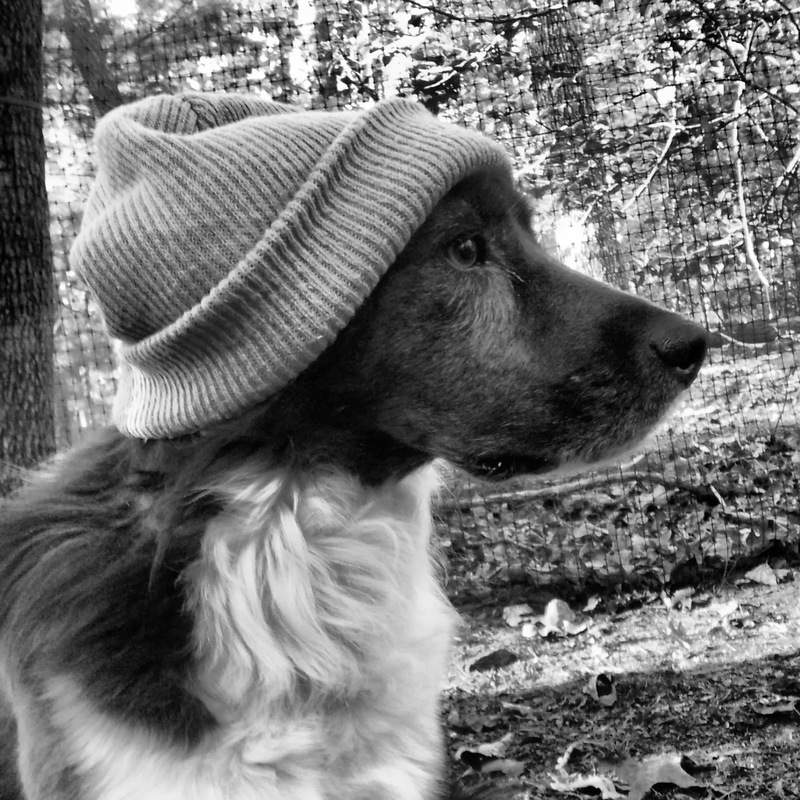 You look so cute in your knit cap, Gracie!